£20 per person, includes a Bellini. Minimum 2 people. The Grand Imperial restaurant has replaced cakes, sandwiches and pastries with pork buns, dim sum and prawn crackers for an oriental inspired afternoon tea. 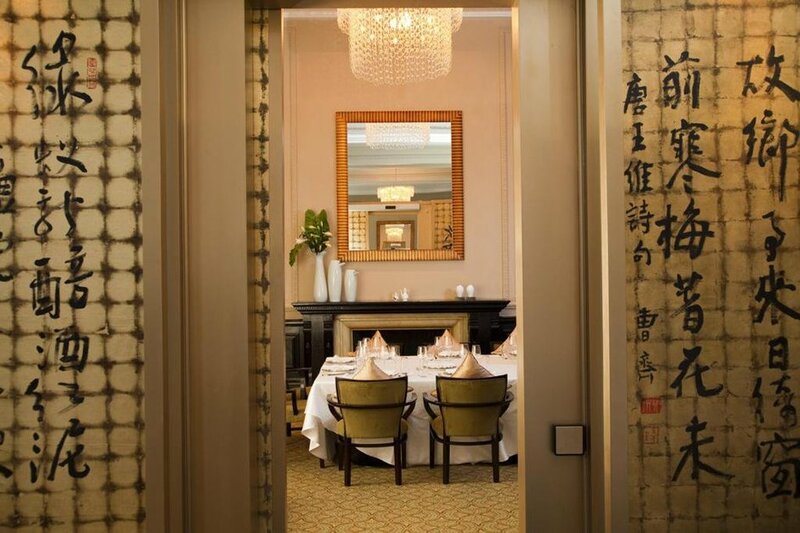 Served in the beautiful restaurant, which has been designed around the ancient practice of Feng-shui and features original artwork and calligraphy as well as traditional artefacts, it's the perfect spot to enjoy a Cantonese twist on a very English custom. Presented on a three-tier cake stand, just like a traditional afternoon tea offering, the Hong Kong Cantonese delicacies include prawn dumplings, duck rolls, crispy soft shell crab and seafood dumplings, while sweet treats come in the form of a crispy water chestnut roll and an oven baked egg tart. The unlimited refills of Chinese tea take the spotlight, with a number of floral varieties and fermented options - a highlight is the Jasmine King Tea with a subtle, sweet flavour. There's also the option of adding some fizz to the occasion with a glass of Charles Henry Brut Champagne. Grand Imperial London - Afternoon Tea gyms, sporting activities, health & beauty and fitness. The best pubs near London Grand Imperial London - Afternoon Tea. Grand Imperial London - Afternoon Tea clubs, bars, cabaret nights, casinos and interesting nightlife. Where to have your meeting, conference, exhibition, private dining or training course near Grand Imperial London - Afternoon Tea. From cheap budget accommodation to luxury 5 star hotels see our discounts for Grand Imperial London - Afternoon Tea hotels, including DoubleTree by Hilton London - Victoria from 79% off.